Can an ordinary person change the world? You bet they can! This is one of the many life lessons I’m trying to teach my girls and luckily there’s a great book series about real people to help inspire this lesson. We’re joining forces with Penguin Kids to share some of their favorite picture books as a part of the 12 Days of Picture Books. They will have daily giveaways on their Facebook page between now and December 18th. You’ll have to check it out! Penguin Kids generously sent us a copy of one of the books they’re featuring in the giveaway. Keep reading to find out why we loved it! 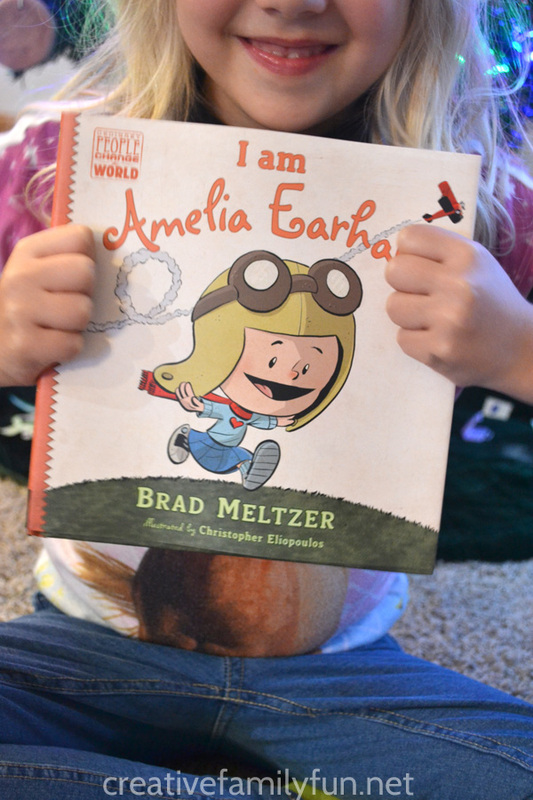 The day our book came in the mail was not the first time we had read I am Amelia Earhart by Brad Meltzer. We had checked it out from the library a few months back and renewed it as many times as we could. It is that good. We’ve since gone on to read others in the series. In fact, I am Rosa Parks is sitting in our library basket as we speak. Quite frankly, I’m grateful for Brad Meltzer for writing this series. I’m grateful for a easy-to-read and engaging series of biographies for young kids. I’m grateful to have this tool to teach my children about amazing people who did extraordinary things in a way that shows them that anyone can do great things. I am grateful for Amelia Earhart and how she is teaching them to reach for the skies and to know no bounds. If you haven’t read this series, I’d encourage you to check it out. Abraham Lincoln, Lucille Ball, Jackie Robinson, Helen Keller, and Albert Einstein round out the series. And, to my 3rd-grade daughter’s relief, I am Martin Luther King Jr. will be coming out in January. 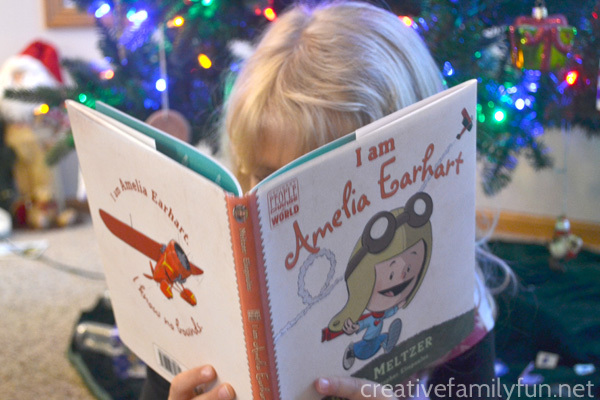 If you would like the chance to win I am Amelia Earhart, you must stop by Penguin Kids Facebook Page today! 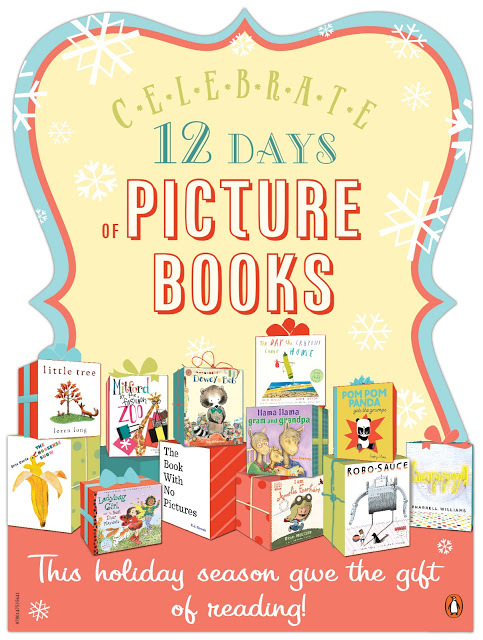 Stop by everyday through December 18th for even more chances to win some of the books pictured above.